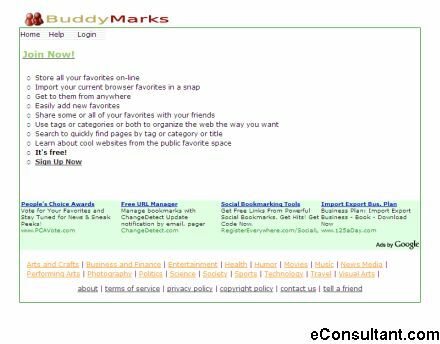 Description : BuddyMarks allows you to store all your favorites on-line and be able to get to them from anywhere. Home, school, the library… at work, leisure, even on vacation in Tahiti. You can easily upload the favorites you already have, and adding new ones is as easy as the way you bookmark things now, and you can do it anywhere.